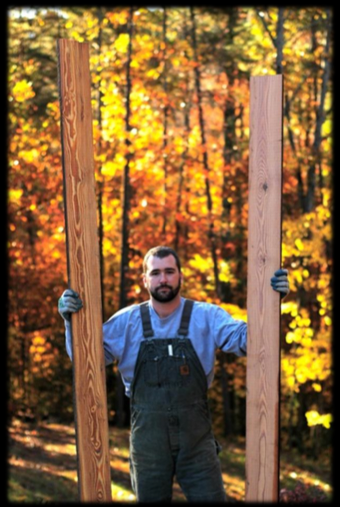 The mission of Early American Furnishings is to connect modern lives to our colonial heritage with handmade fine home furnishings crafted from reclaimed old growth lumber. 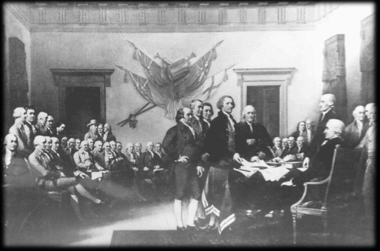 Using a combination of technique, material, and communication of historic relevance, the American story of her great forest is brought into the home, where fingertips can touch the lightard of the Heart Pine, Wormy Chestnut, Quilted Cherry, Bird’s Eye Maple, or a millennium of growth rings from a Sinker Cypress. Often a whisper of the saw kerf from a steam powered mill or a mark from the swing of the broad axe is left in the finished piece to remind of this connection to the past and sense of place in America. 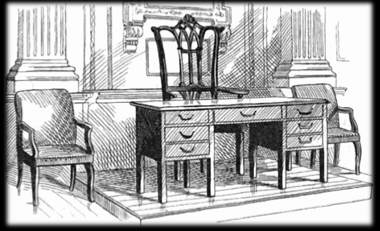 Antiques of great distinction such as a desk where Jefferson penned the Declaration or a farm table where General Francis Marion sat to convince a young soldier to take up arms with him; these pieces are simply out of reach. But the wood fiber is still here today, in barns, churches, old homesteads, and centuries old buildings. The founder of Early American Furnishings feels there is no better way to honor our heritage than through reclamation of this perishable resource, and then to create by hand, a beautiful and historic piece for future generations. Lee Tigner is a long time resident of Georgia with roots in the Lowcountry of South Carolina. 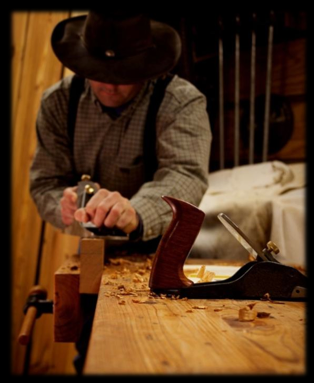 He has a degree in History from Francis Marion University in Florence, South Carolina, and has been a woodworker since 1998. Growing up in historic Charleston has given him affinity for fine furnishings made from prized local species such as Longleaf Pine and Bald Cypress. 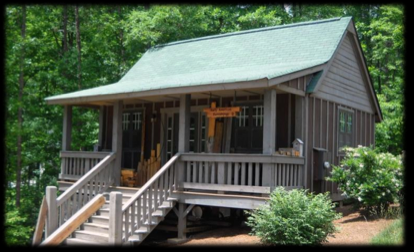 Our shop is located in the north Georgia mountains just a few miles from the southern terminus of the Appalachian Trail. We serve local clients in north Georgia, South Carolina, western North Carolina, and east Tennessee, but our products can be shipped anywhere in the country.